Barrow in Furness Council is offering private landlords a 'goodies bag' of incentives to help persuade them to house people who are either 'homeless' or in danger of becoming so. All of Cumbria suffers from a lack social housing and several local authorities are desperately trying to combat the issue by thinking outside of the box to help ease the lack of social and affordable homes. Barrow in Furness council is attempting to solve its crisis by launching a new scheme that is offering private landlords a range of incentives to house new tenants. The incentives include free electricity and gas checks, CO2 and smoke detectors to make sure that the properties comply with the council's safety standards. Chair of the committee and leader of Barrow Council, Dave Pidduck, said: “It’s an initiative that is really important. 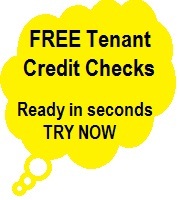 We have landlords that have short and long term apartments. If the scheme is fully introduced then it will mean that council will be able to offer 6 to 12 month tenancies for its homelessness service's 'clients'. Richard Merrick of PIMS, said: "Everyone is in favour of alleviating the housing crisis and reducing the rising numbers of homelessness, short term tenancies are indeed a solution. "But what will happen when the recommended minimum three year tenancy agreements legislation is passed, are the six to twelve months tenancies going to 'morph' into three year tenancies?"